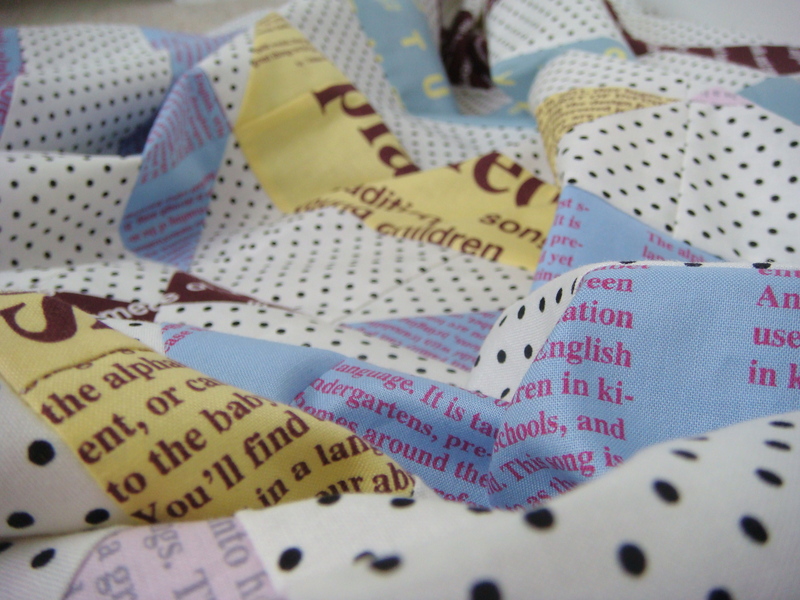 Just a tiny sneak peak today at something I’m working hard to get done in time for Blogger’s Quilt Festival. Unlike a lot of my projects lately, this one is my own original design. I really hope you guys like it! Linkups for BQF open Friday and run through the following Friday (October 31). The week after that is voting! The festival is such a great source of inspiration and connection. Definitely check it out if you’re not already planning on entering. For now, I’ll be linking up for WIP Wednesday… as soon as it’s Wednesday. This entry was posted in Uncategorized and tagged Blogger's Quilt Festival, WIP. Bookmark the permalink. Loving those dots! I’m looking forward to seeing your design. So cool!! I’m excited to check out the blogger’s quilt festival. Looks like there will be a lot of fun inspiration. Looks good, ya big teaser! Can’t wait to see what you’ve come up with. Love the dots! Thanks for sneak peak. I love the fabrics you are using. Looking forward to seeing your original. I know it’s going to be a beauty. I can tell I’m going to LOVE this. I’ve been drawn to those First of Infinity fabrics but am not particularly sure how to use them. I think you’re using them exactly how they are supposed to be used! You can totally do it. Can’t wait to see your Blogger’s Quilt Festival entry! I’m intruded. Love me some dots. I cant wait to see your new design! Love the blog post title! I’m intrigued and can’t wait to see the finished product, and your own design – how exciting is that! Thanks also for mentioning Bloggers Quilt Festival, I hadn’t heard of it before (such a newbie). Also, something has happened in Blogger or Gmail and I don’t get email notices of comments from wordpress people, I’m not sure if you get an email if I reply from your comment. So I read and love your comments even if I don’t appear to be replying! Once upon a time I was a lawyer. After our first little boy was born I became a stay-at-home Mommy and started sewing because I needed a hobby. When I made my first quilt I found so much more! Now I'm home with 2 preschoolers and a baby and I sneak as much sewing time as I can. My #travelingsewcialquiltbee blocks for @saraquilts this month.🎅🏻 I had such fun making these Elf (the movie) themed blocks for you Sara! Santa and Christmas candy corn ☺️ Candy corn pattern by @centerstreetquilts and Santa by @ellisandhiggs.